At first, I was curious. I didn't even know what “making a website” meant. Then, I started to play around with it, because it was easy and I was getting results. Now, when I come into my office, I know that 60% of the patients arriving for their first appointment found me online. A dentist ranking at the top of Google. A degree in Dentistry, 3 Masters, 1 website, and almost 20 years of experience in the field. The numbers speak for themselves, but they don’t tell the full story of Dr. Piccardo. Behind the growth of his career, there is a natural curiosity that lead him to reach beyond the confines of medicine to cross over into the internet, where for years his office’s website has been positioned at the top of Google searches. Since 2013, he leads a team of professionals at his dentistry practice’s new location in Genoa, where he welcomes his patients. Many of them contact him through his website. My website is a permanently open door to my office. For the past 10 years, it has undoubtedly been the best tool for bringing in patients. Ever since the start of his online adventure, Dr. Piccardo has only had one major goal in mind: increasing the visibility of his dentist’s practice through his website to obtain new contacts and first visits to his office. The challenge seems difficult at first, both because of competition from national chains of dentist practices, as well as because of legal limits on marketing in the medical field. The priority is to inform patients, not promote services. Not to mention that the doctor had no experience whatsoever in creating websites. What was he to do? manage his webpages’ positioning using SEO features. For 10 years, WebSite X5 Professional has been his tool of choice. This easy-to-use software allowed an Internet neophyte to not only publish his own website, but to take care of all the elements necessary for capturing more user searches through useful and interesting content. I chose WebSite X5 because it’s an easy-to-use and SEO powerful program. You simply drag and drop content to build your pages and then setup all the SEO elements you need to position them. Online visits turn into real visits. Today, the website www.dentista-genova-dottpiccardo.it appears on Google's front page for the main search terms in the category of dentistry in the Genoa area: “dentist's office, tooth whitening, dental implants, orthodontics” are just some examples. Obviously, the best results come from local searches like “Genoa dentist office”. In Dr. Piccardo’s experience, being at the top of search engine listings translates into real e-mail and phone inquiries, first visits to his office, and requests for information via social media. An optimized website enhances all online marketing activity and leads to extraordinary results. His path shows that the ability to experiment with the web using a simple, comprehensive tool allowed him to transform an initial curiosity into a concrete opportunity for growth in his professional career. Here at Incomedia, we see Dr. Uberto Piccardo's story as one of a challenge won. The challenge of seizing an opportunity and doing it for yourself. 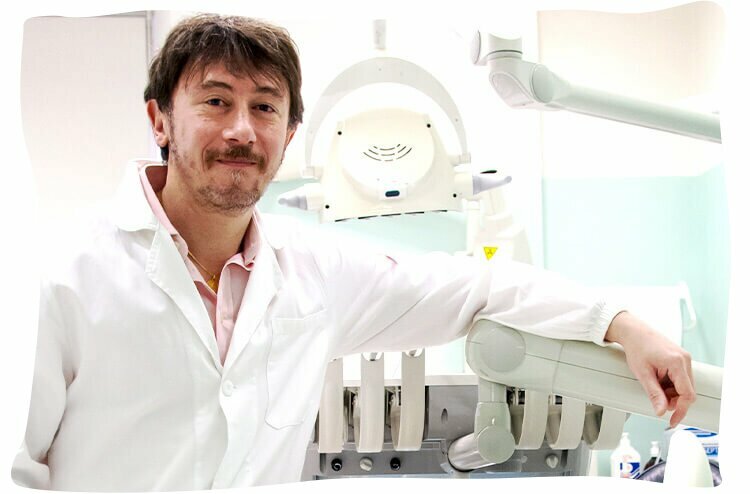 That is why Dr. Uberto Piccardo is a prime example of an incostar.